Jamshedpur, Jan. 19: At a ceremony to be held on the XLRI campus tomorrow, the management institute will enter into a partnership with the NGO Child Rights and You (CRY), which they hope will help them partner developmental projects in Jharkhand and Orissa. 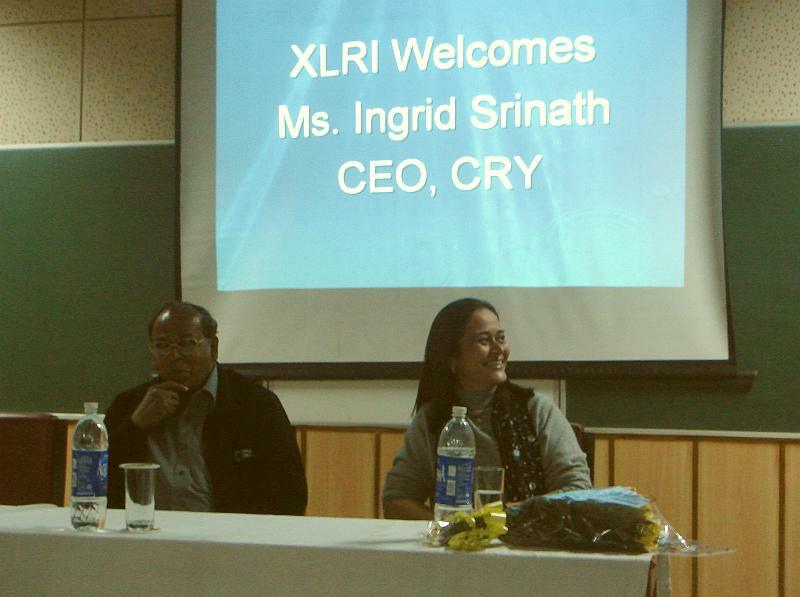 A formal MoU will be signed between the director of XLRI, Father Casimir Raj and Ingrid Srinath, the CEO of CRY. Once formalised, students of XLRI would have the sole responsibility of managing and executing all projects undertaken by CRY in Jharkhand and Orissa. The tie up would be managed by Special Initiative Group for Managerial Assistance (SIGMA), a students body at XLRI. This is the first time that CRY is entering into an alliance with any B-school in India. “Students would now be responsible for planning projects, framing social strategies and also managing the local level NGOs in these two states,” said Ingrid Srinath at XLRI today. Notably, it was about a year back that XLRI had decided to venture into rural India by exposing its students to different rural set up, but this move marks a major development as it’s also the first time that any NGO would enter into a formal agreement with XLRI for summer internship programmes. “The MoU would be executed in two ways. First XLRI would get all the future projects of CRY in the states and second from now on students would go for formal summer internship programme with CRY every year,” said Ravi Shankar Mishra, secretary at SIGMA. Srinath, who is in the city to inaugurate XLRI flagship marketing far Maxi fair on Sunday, told The Telegraph that this year CRY has approached the leading B-school to do a study. The other leading agencies who have contacted XLRI with their rural problems are UNICEF and Hindustan Level Limited (HLL).